The Ankh: What Does it Mean? Probably the most recognizable Ancient Egyptian symbol, the ankh hieroglyph represents eternal life. 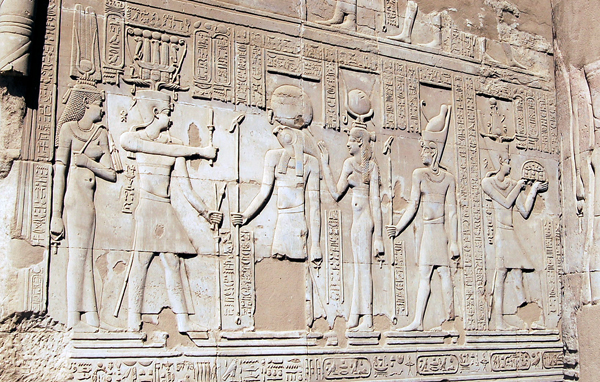 Egyptian gods and pharaohs were frequently shown holding the ankh or in close proximity to it. Fundamental life-giving elements, such as water, air and sun were often represented by the ankh. 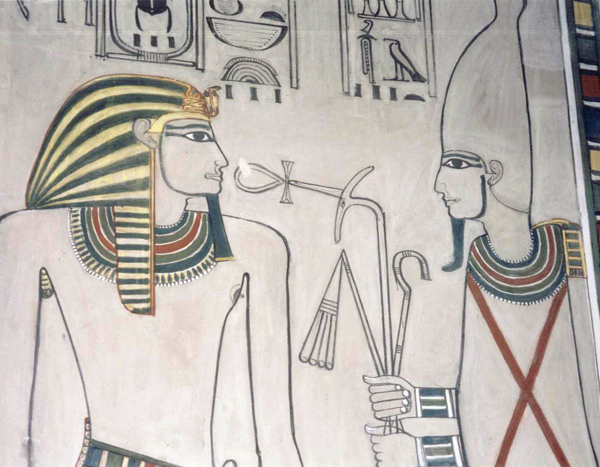 In some tomb paintings ankhs are shown pouring over the resident pharaoh from an upturned vessel or being blown into his mouth. The origins of the symbol are lost to the mists of time but some suggestions are that it first represented the ever-holy sun sitting on the horizon, with the sun’s path stretching below; male and female reproductive parts, separated by the fruit of their union; or a sandal strap. It’s easy to see a connection between eternal life and the sun or the male, female and offspring, but a sandal strap, not so much. Imagine this – the loop of the ankh fits around your ankle; the arms of the ankh wrap around your foot, and there you have it, a sandal strap. The word for sandal strap ‘nkh’ was very similar to the word for life ‘ankh’ so the symbol was used to represent both words. That’s one theory anyway. 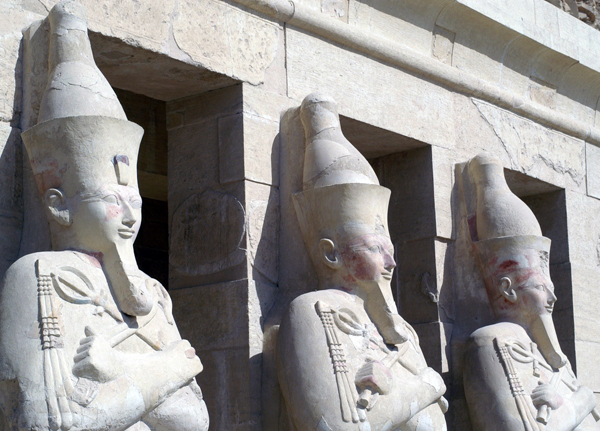 Click to see tours to Egypt, the birthplace of this powerful and enduring symbol. This entry was posted in Egypt, What Does it Mean? Enduring Symbols and tagged ancient egyptian, ankh, kom ombo temple, luxor, Temple of Hatshepsut, tomb of nefertari, tours to egypt, valley of the queens by yalla2013. Bookmark the permalink.